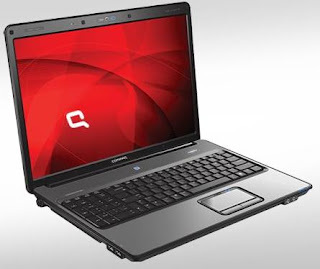 SNEEK PEAK: In the race of stunning and good laptop, Compaq A901TU stands apart from its competitors (like Acer Aspire 4710NWXMI) with its unique large 17-inch widescreen display. DESIGN: It is highly compact and user friendly laptop. It has a good durable and sturdy body. The keypad and touch pad mouse are very comfortable for a great typing experience. KEY FEATURES: It has a very powerful Intel 1.67GHz Core2 Duo Processor as its backbone. The unique selling point of this laptop is its 17' inch display screen, which makes it possible to work much faster and easier. It has a brilliant storage and memory feature with the available 1GB RAM and 160GB hard drive. It is loaded with genuine Windows Vista Home Basic operating system which can load just about any application on it, thus making it more flexible for the users. It can easily operate in any connected environment with fast and complete connectivity (WiFi, integrated modem and sound card). The best thing is that you can avoid clutter with in-built touch pad mouse and Speakers. It has a great battery life.PROS:It offers a large display screen with clear bright viewing. The sound quality of the laptop is also commendable. CONS: For the pricing it lacks built-in camera/webcam for video calls and conferencing which is now available by most laptops of this range. CONCLUSION: If simple design is your first choice and complicated technology is your nightmare than this user friendly laptop with its wide screen is an ideal Laptop for all your personal and professional use. Vinnit Alex is a well known author and has written articles on UPS, Laptops store, Compaq Laptops, online shop and many other subjects.